My husband today said. “You have wheels on your feet”. He was so right. Since Little Miss A turned 4 months, I have travelled extensively with her. Domestic to international, flight to road trip, hills to the beach and the last one being a cruise, we have done it all. For us as parents, travel is the best gift we can give her and we hope this exposure will help her grow and learn a lot. The first few times that we travelled I used to carry a big bag for her toiletries and other needs and thus, I ended up carrying too many and bulky things. 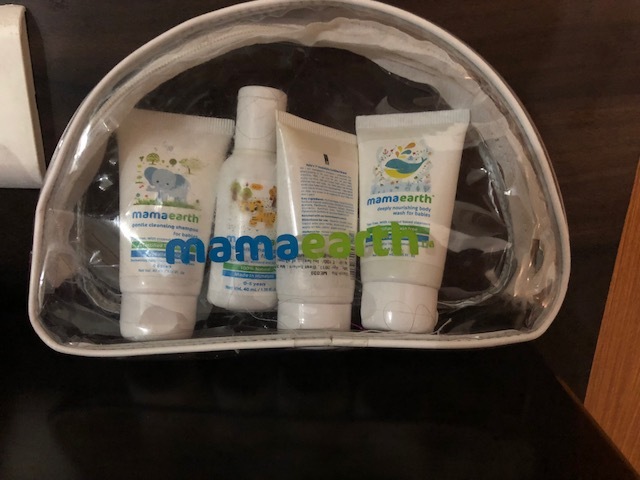 One day, while looking for smaller bottles I came across the Mamaearth Travel Essential Kit for kids, and this was a life saver. 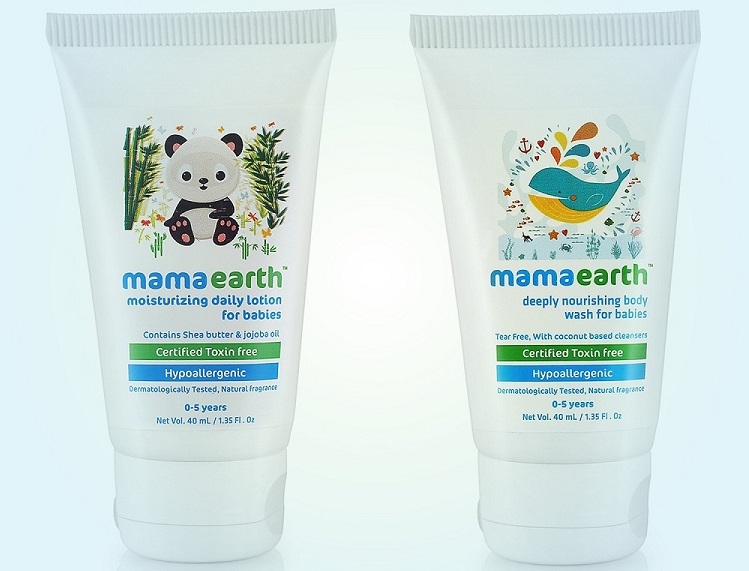 Mamaearth is a brand for parents by a parent who understands each and every need. 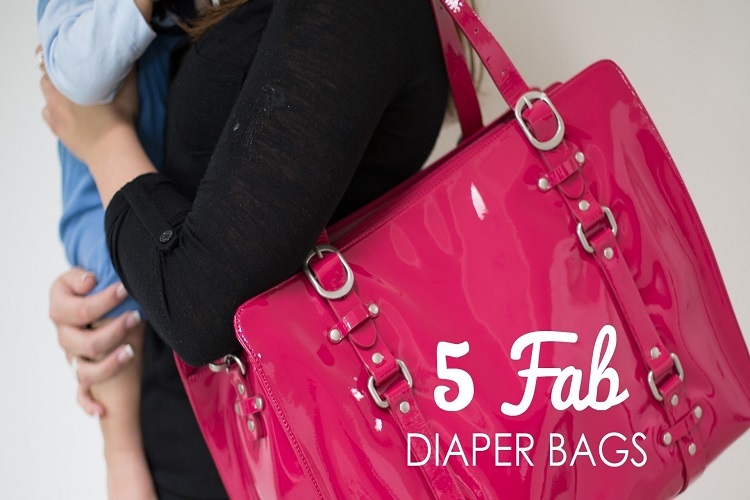 These products are toxin free and thus, gentle on the skin of the baby. 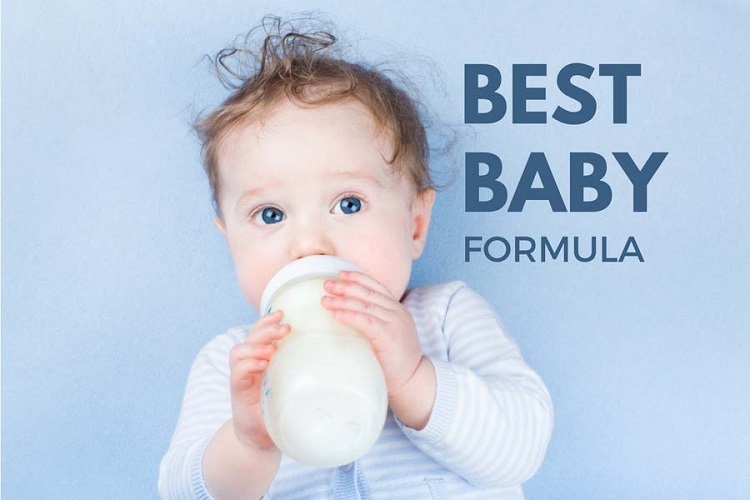 These are two things which a baby needs daily, and the Gentle Cleansing Shampoo for babies and the Deeply Nourishing Body Wash provide everything a mom wishes these products have. These are both tear free and clean the hair and body gently. 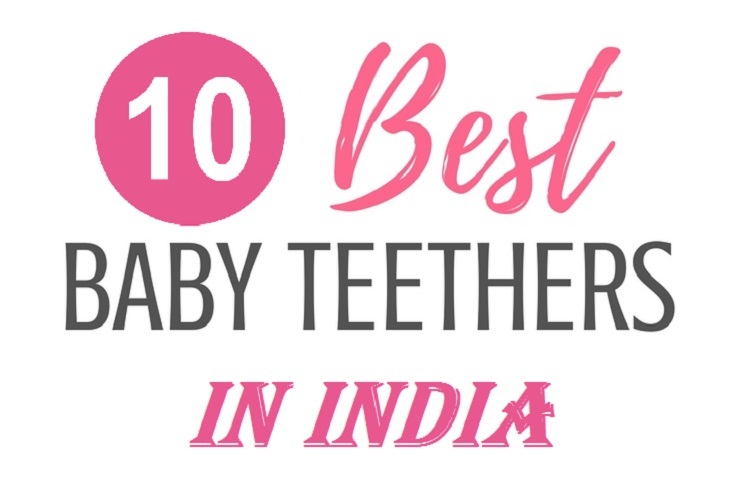 As there are no toxins and chemicals, there is not much lather, but the coconut-based cleansers clean the baby very well. The body wash has a fruity smell whereas the shampoo has a pleasant lavender smell. I simply love the body lotion as is very light and gets absorbed in the skin easily keeping the baby’s skin soft. The lotion provides hydration and can be used in all weather conditions. Unlike some other lotions I have used, this is non-greasy and has a very soothing smell of chamomile. The lotion has Vitamin E, almond oil and shea butter, which keep the skin nourished. The Mamaearth Soothing Massage Oil is the most convenient of all products. Until I did not find this oil, Little Miss A would not get massages on holidays as it was difficult to carry oils. The oil has jojoba, sesame, olive oil, lavender and chamomile. The oil has a very calming fragrance and this is ideal to relax the baby while nourishing the skin of the baby, keeping it soft and supple. 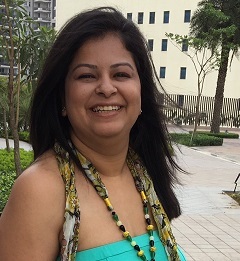 The travel kit has been designed keeping in mind the needs of a mother who travels a lot (Thank god someone understands). My recommendation is, if not used for travel, use this as a sample to see the lovely products and then the bigger sizes can be bought. The kit is well priced at Rs.399 and can be bought from Amazon by clicking here. With no sulphates and parabens and toxins, these products have become our personal favourite while travelling and also at home.